These models enable easy and convenient crushing of various materials, including vegetables, fruits, seaweeds, crude drugs, used paper and fibers, and wood chips. A steel model is also available on request. 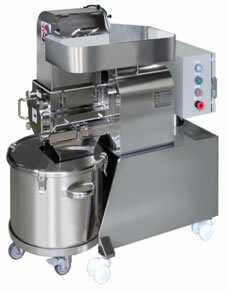 The screen mounted under the cutter is available in diameter sizes from 1.5 to 30 mm.